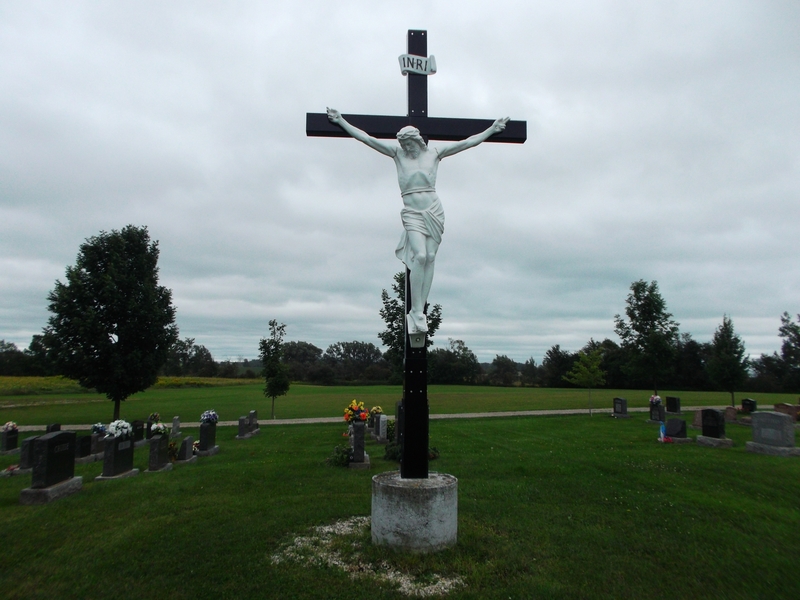 In 1878, A. W. Hassard sold part of Lot 7, Concession 19 to Rev. 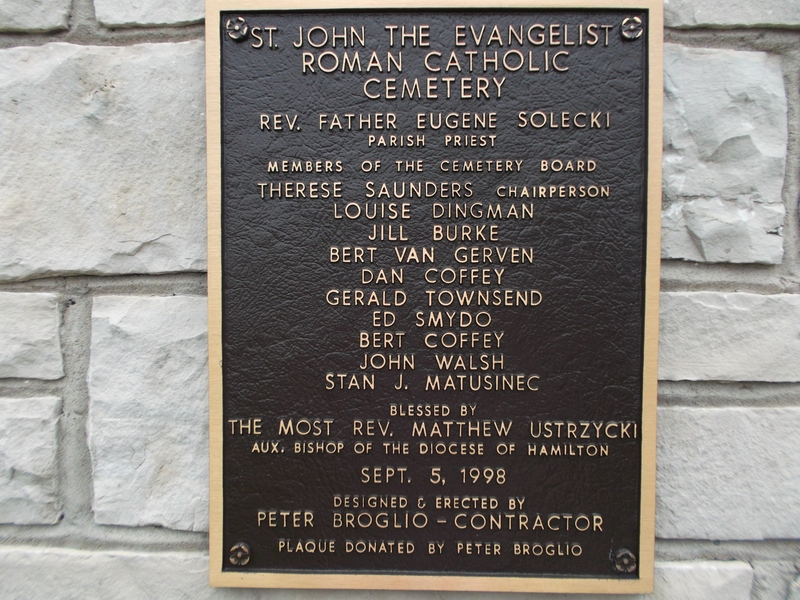 Father Eugene Laussie for creation of St. John’s Roman Catholic Cemetery. 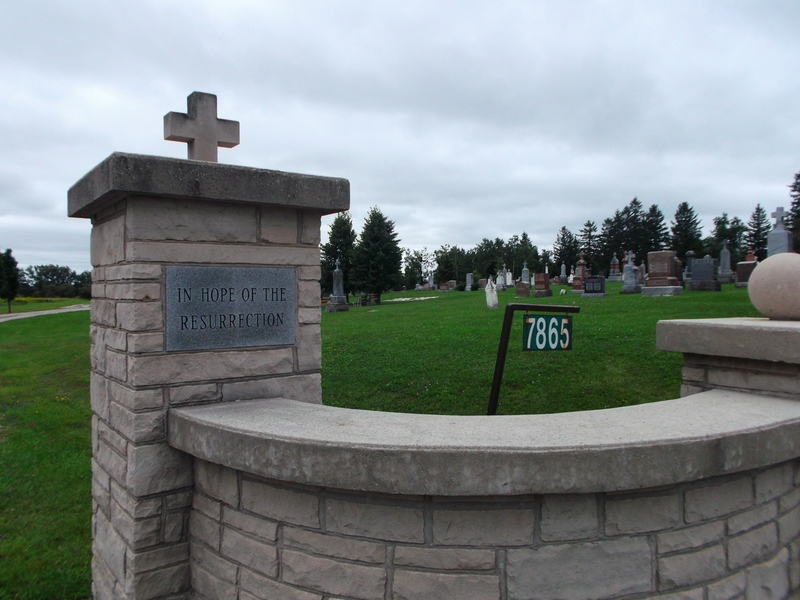 In 1882, the deed was transferred to the Diocese of Hamilton. 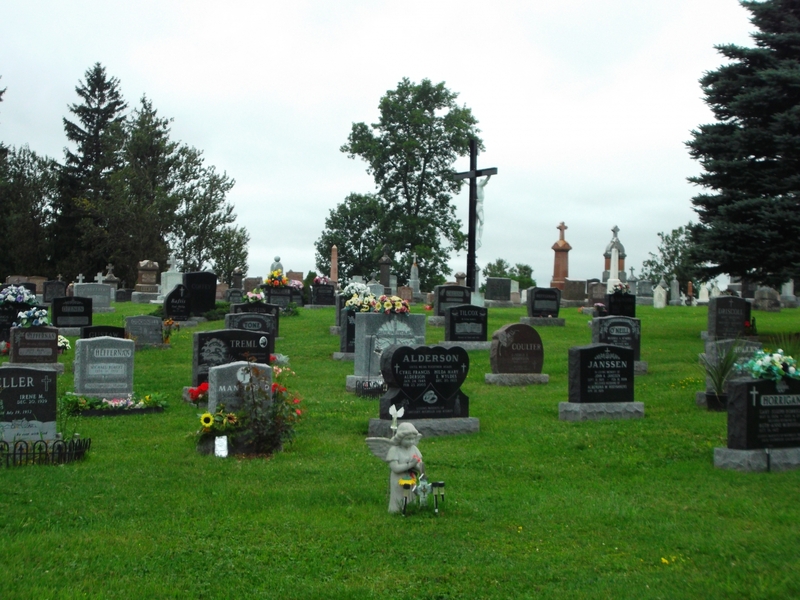 The Cemetery is located beside Greenfield Cemetery; both are just outside the Town of Arthur. 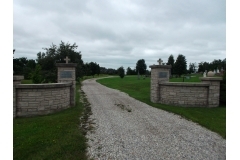 The driveway through this cemetery is lined with young trees. 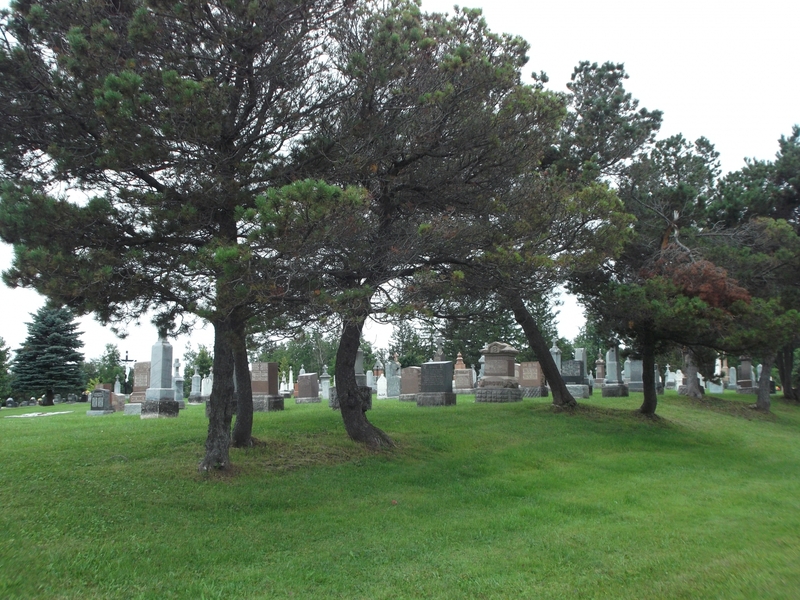 Each of these trees has a small plaque denoting a person in whose remembrance it has been planted. 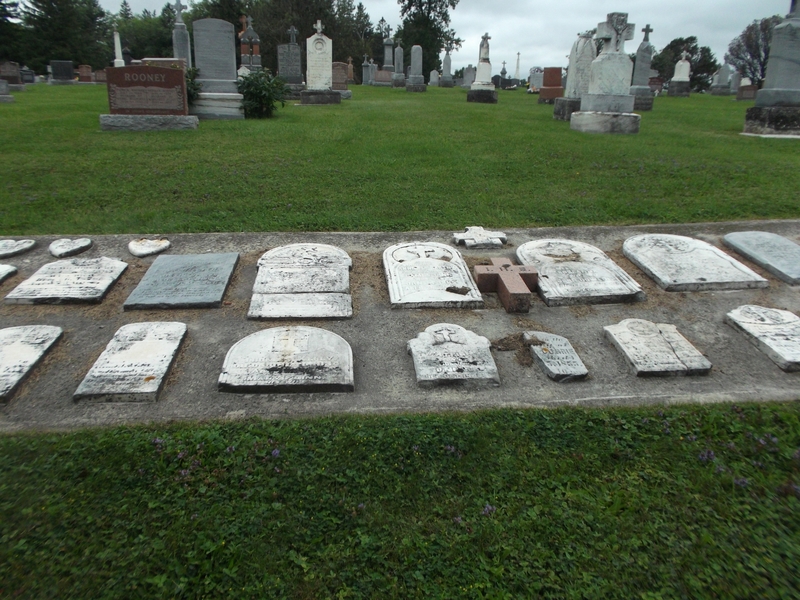 A portion near the entrance, has the very old headstones lying down. 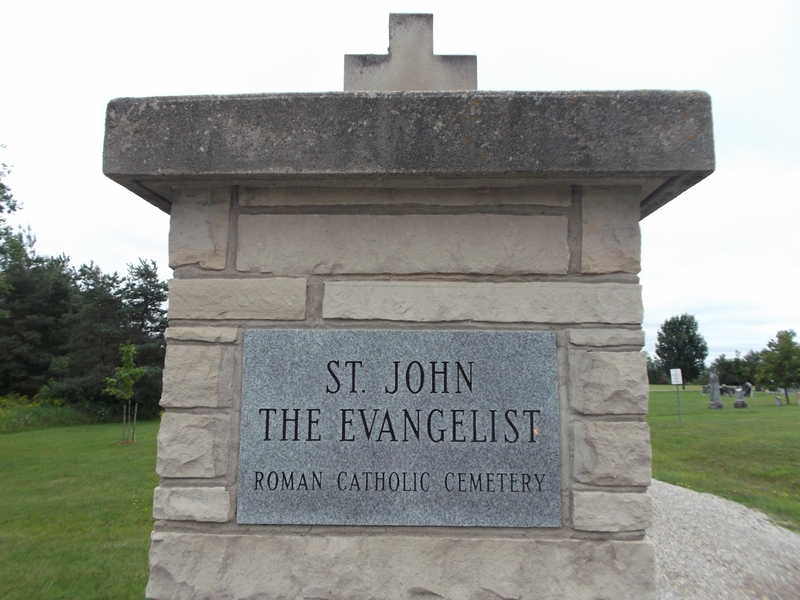 The cemetery is on the south side of County Road 109, east of Sideroad 17. 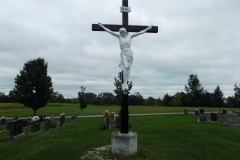 This is in Peel Township.